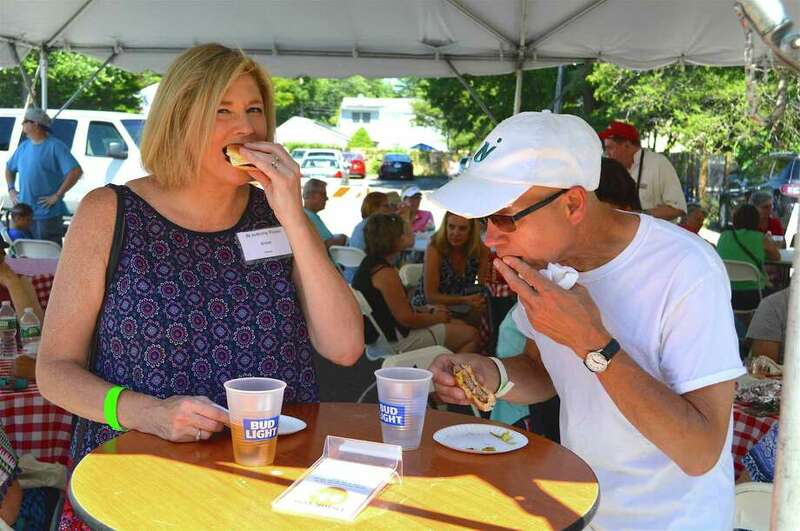 Ann and Tom Andrukevich of Fairfield enjoy a bite at the St. Anthony of Padua Parish's annual Parish Picnic, Sunday, July 9, 2017, in Fairfield, Conn.
FAIRFIELD — Fun festivities and lots of food earmarked the annual Parish Picnic at St. Anthony of Padua Parish on Sunday afternoon. Embracing its Polish-American roots, the 90-year-old church celebrated with a spread featuring stuffed cabbage, kielbasa and pierogies, along music, games, dancing and a large white elephant sale. “This is an event that makes Fairfield special,” he said.